When I was a kid to me the airport only meant seeing my dad again. It wasn't happening that often, but sometimes we were going to pick him up at Caselle, waiting among the shops and the cafes for him to appear between the smoked glass sliding doors. There was the excitment to see him again, but for me, since the beginning, it had also started to be mixed up with another kind of emotion: the emotion of the airport itself, the emotion of leaving, of selecting and closing your necessities inside a small suitcase to be carried along with you and thinking that now you are here but in a couple of hours you will be thousand of kilometers away. During those times my biggest travels were Liguria's seaside, less than a 3 hours drive from home: I didn't know yet what was behind those smoke glass sliding doors, I wasn't yet skilled with all the procedures and the rules that flying requires. I had just seen the slice of world which had been given to me at my birth; but yet there was something in these aseptic and frenetic places which was attracting me in an unexplainable way. It was the seed of the travel bug which was already growing inside of me. Nowadays that I can go through that glass door quite many times, and now that, actually, I've just done it, writing these thoughts in front of the gate for my Turin-Frankfurt flight, I keep on being charmed by airports. Their aseptic appearance is actually a box full of stories, stories which can be intense and strong as only departures can be. Stories which often are dreams, like the dream of who's finally coming back home, even when the "home" is actually in another part of the world from the one you are born. Like the dream of the one who is leaving to explore some new corner of the Earth, that, who knows, maybe could stay forever in his heart, or maybe could give him adventures and new memories. Or like the dream of who wouldn't want to leave and would prefer staying, but who is trying to transform his departure into fuel to then return. To those who ask me, I always answer that I prefer travelling by train. It's a different kind of experience: with train you are dip into the landscape you are crossing, you see it sliding on your windows, you can melt your thoughts inside it and you can almost stop caring about the destination, because you want to enjoy the journey. With the plane the experience gets more surreal, you are above the clouds and you could be just everywhere, detached, above everything. You might live it as a break, the plane journey, in which you take a breath from all the duties and things to do that are waiting for you on the land; or you might live it as a tension towards your destination, not being able to wait for the moment when you'll touch the ground and you'll be arrived. 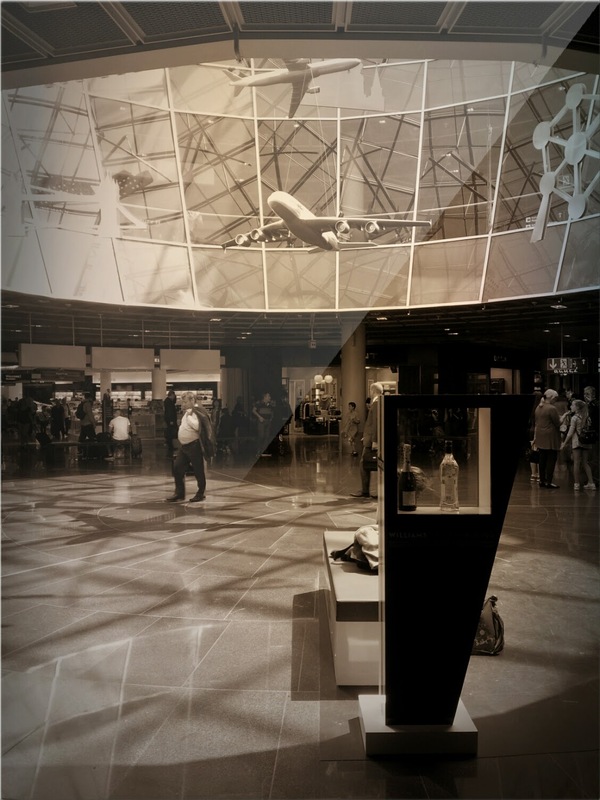 About travels I also love the befores and the afters, the expectations and the memories, and an airport is always a good place where being able to indulge into both. I love the sensation of being suspended in a not-place, a place which is an open territory and which is far away from everything, but that, in its not-being, becomes the only way to move towards your desired destination. A not-place which is the key of passage to get in every place. A very effective metaphor of how, sometime, in order to go, you need to stop, collect your strenghts, motivations, thoughts. A bit like the seed during winter, which waits to blossom under the sheet of snow. I like waiting, I like introspection. These are moments of which I nearly have a physiological need. I need them to recharge my batteries. I need them to think or even only to let the mind wander freely. I need them to write, or to imagine to write, to find inspiration and ideas. 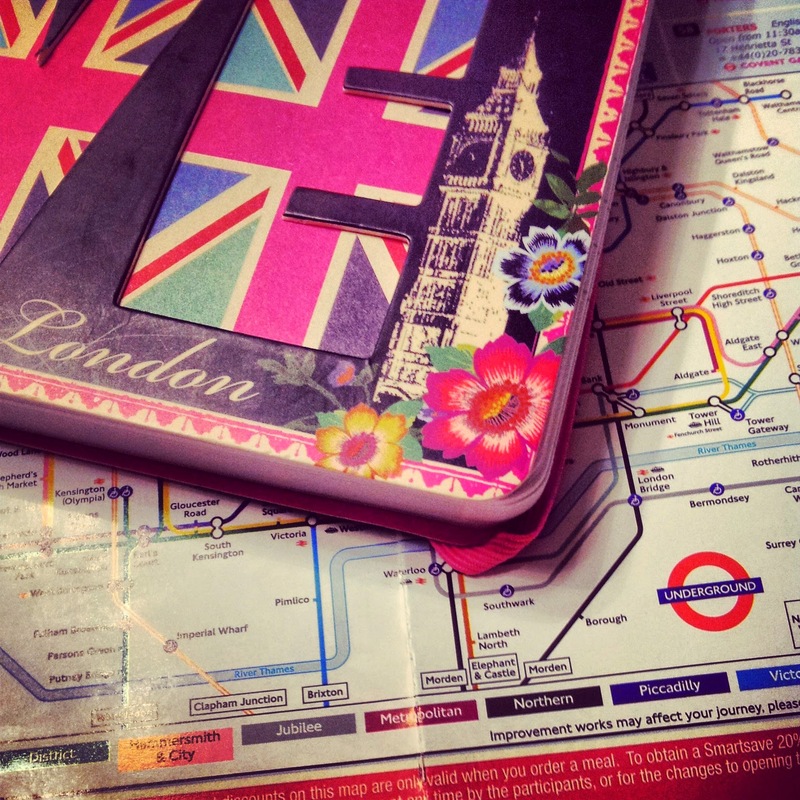 Besides the travel bug I also have the writer one - and I think it's a good luck having it, because thanks to it I've never known what is boredom out of long waits. An airport is also a place for this. And it's a place where to look, to observe. I like to look the departures board, and daydreaming about which one could be my next destination. Or I like to observe the children who watch the airplanes. 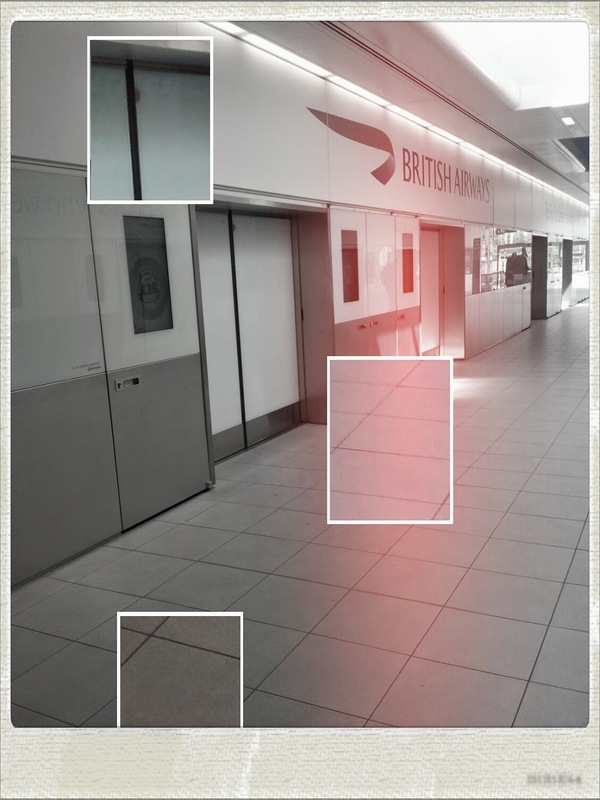 A few weeks ago in Gatwick there were two of them saying "Would you ever believe that a thing like that could FLY??". Airplanes are a challenge of the human genius - a challenge against the gravity law, a challenge to become masters also of that sky which at first had been denied to us, a challenge to transform tons of iron into something as light as birds feathers. Caselle airport is always almost desertic, comparing to the memory I have of it from my childhood. Expecially in the morning, like now, when outside it's raining and the shiny grey of the sky reflects on the one of the floor. Among the windows and the neon lights a small number of travellers is strolling: some loud, some thoughtful. Those who travel towards South are dressed colourfully, with flip flops and shorts, as actually the summer would require. They are the most cheerful, the most blatant. I usually travel towards North: my clothes fit the weather outside, and I prefer cradle myself into introspection. 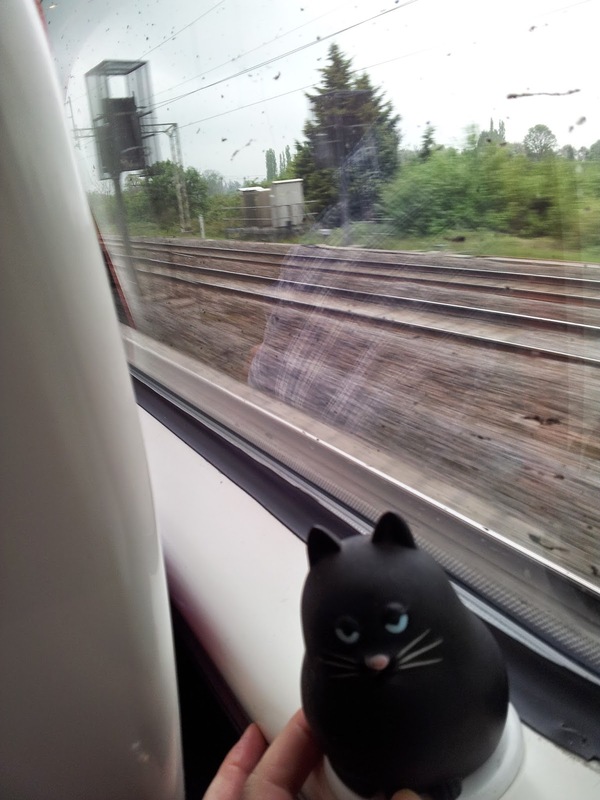 Also the other passengers travelling to Frankfurt are all absorbed in their readings. Malpensa airport is the one I like least: it looks like a barracking and its cafes have plastic sandwiches as expensive as a pizza. 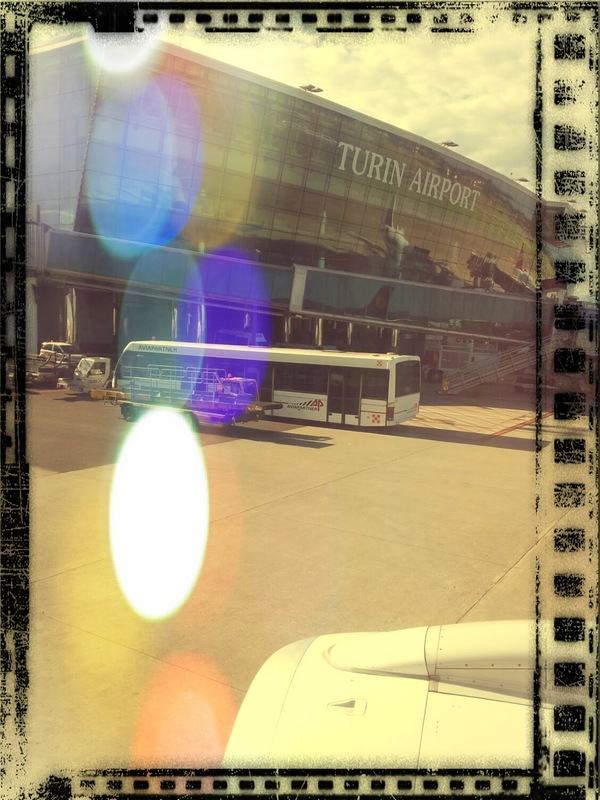 We from Turin are often obliged to use Malpensa, since from Caselle the flights have been drastically decreased. Malpensa is grey and pragmatic. It doesn't invite you to spend much time there, it pushes you to rush towards your destination. Heathrow used to be the only one thing I didn't like about London. English people have a sort of moral call to queue tidily, even in front of an ATM cash or an ice cream parlour; but in Heathrow I've always found an unexplainable chaos. But this was happening before they had built the fifth terminal. I'm not flying on Heathrow since 2007, now I use Stansted and Gatwick, but I confess I'm not really keen on testing if the situation has improved or not. But the award for the worst one goes to the Charles de Gaulle, which completely lacks of the most elementary organizing cares. While looking for a terminal I've ended up in the taxi parking, if you land in terminal M going anywhere else becomes a long and adventurous challenge, and it's the only airport where I had to do security controls again for a connection flight. To Charles de Gaulle I owe the only missed flight of my traveller's career, because of all the forementioned reasons, and because Air France closes the gate strictly 20' before the departure of the plane and doesn't let you in even if bend on your knees singing the Marseillaise. Seeing the plane still tied to the gate and not being able to get in, after a crazy rush, it's an experience you could use as a practical test for anger management courses - but at least the 8 hours we had to spend waiting for the next flight have been sweetened by some La Durée macarons. In Munich, instead, with the gate already closed and the passengers bus already left, because of a delay of the flight from Turin, we had a Mercedes waiting for us that took us straight on the runway. It was year 2003 - I wonder if they still do this kind of customer service. I've also happened to spend one night in Munich: in August 2006, the terroristic alarm to which nowadays we owe the restrictions for the liquids in the cabine, had freezed all the flights leaving from London, and the first available flight has made leaving for Germany at 10 pm. From there we should have taken another flight to Turin on the next morning, so we had to spend the night in the German terminal. It was surreal to see it dark and desertic, with the only sound of Blade Runner soundtrack coming from a children's carousel - which in the silence felt a bit creepy. We were trying to alternate each other napping resting our head on the suitcases, with scarce results, and so we were trying to stay awake with shots of Italian coffee brewed by a Turkish barman in the only parlour which was staying open all night long. We were sharing giant cream rolls sitting on the shining marble floor. Night can be incredibly long when you need to make it pass. Who knows which other airports shall be awaiting for me in the future. I just know for sure that in the next month I will see (again) Frankfurt, Gdansk, Edinburgh, Munich and Vienna. 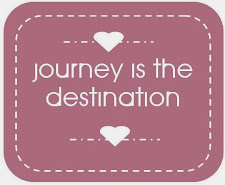 But even if I know the destinations already I don't know yet which kind of stories connected to them shall be waiting for me. And so I stay here, waiting. 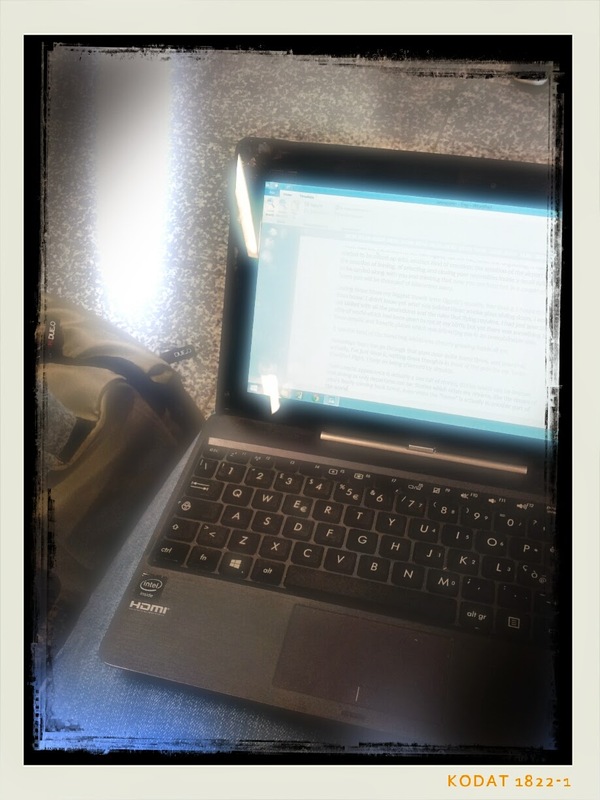 Waiting for my journey to get real, for my story to be written, airport after airport, chapter after chapter. That conversation between the children you overheard was funny - I remember my grandfather saying something similar when I was very young and flying to Scotland with him. Very interesting point about how airports not-places that are, at the same time, the starting and ending point of passage for so many. Beautifully written overall! I think that we somehow take it for granted that airplanes fly, but if you see it with the eyes of a child or with the eyes of someone grown up in other years like your grandfather, it's actually a sort of wonder. Yeah, this thing of the "not-place"... I guess it actually works as a metaphor for any big "travel" of any sort we have to do in life: sometimes you need a period of detachment and stillness before starting to leave for another direction. Really great reflective piece. I love getting to airports early just so we can sit and observe as well - it's a great place for people watching, and my husband and I guess where each person is coming from and going and try to guess their story. Airports really are the start and end to our most memorable journeys, and they're so often overlooked. Yes, I often do the same kind of game! 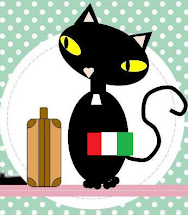 I'm usually pretty good at detecting the Italians... and the Englishs, sometimes. It's true that airports are often being overlooked. Many people just hate going to the airport. Sure, of course when one is tired or the conditions are all in all not too good the wait gets eternal. Like last year when I had a layover of 6 hours in Zurich coming back from the US: I hadn't almost slept during the flight from Boston and I was tired after 2 very intense weeks of travelling and I just couldn't enjoy the time there, it seemed endless! Even tough Zurich is one of my favourite airports. I guess we do that because we are writers... so we just can't help but imaging stories when we see people. And airports surely provide a big amount of people (and therefore of stories!). 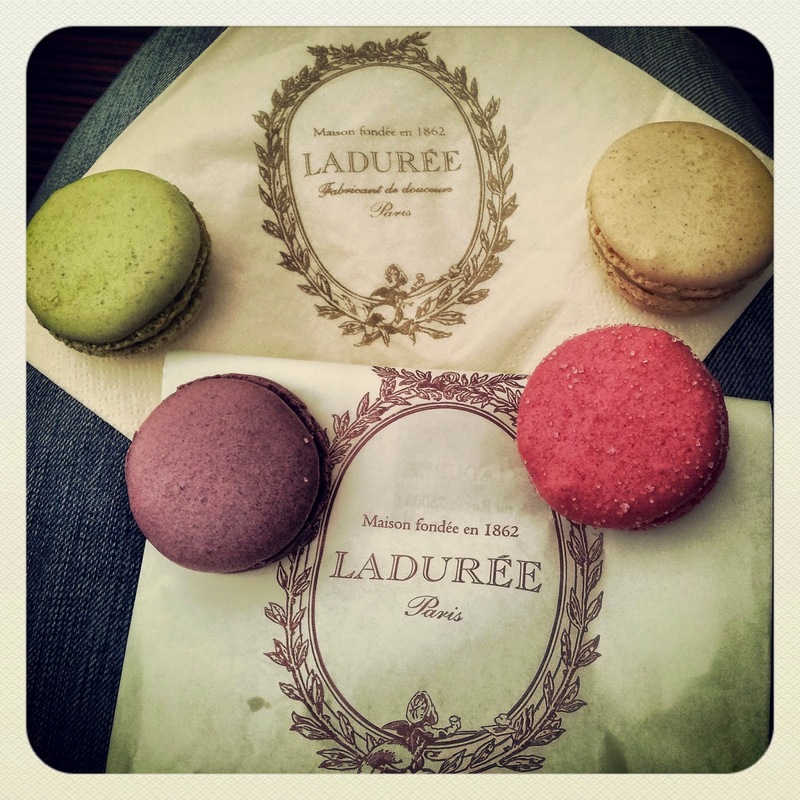 Macarons have totally cheered me up that day, I must say. I was just not happy to have lost my flight in that way, plus we had to wait 8 hours for the next one, which meant one day in Copenaghen gone. Surely conversations can be funny! I must say they are one of the reasons why I always choose to use public transport to go anywhere: people is always the greatest source of inspiration LOL! I also like to get writing done in airports. For some reason, they just provide a nice atmosphere for reflecting. Also... 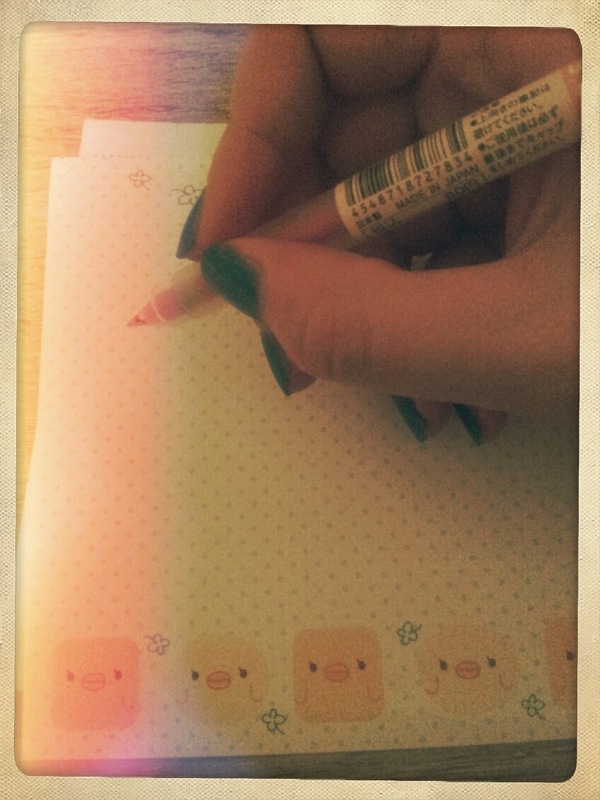 I LOVE your stationary. It's adorable! Yeah, I find it quite peculiar how sometimes places that are pretty much crowded can actually become a really good setting for being concentrated and inspired at writing! It also happens to me with pubs/cafés, for example. I really enjoyed reading your reflection on airports. 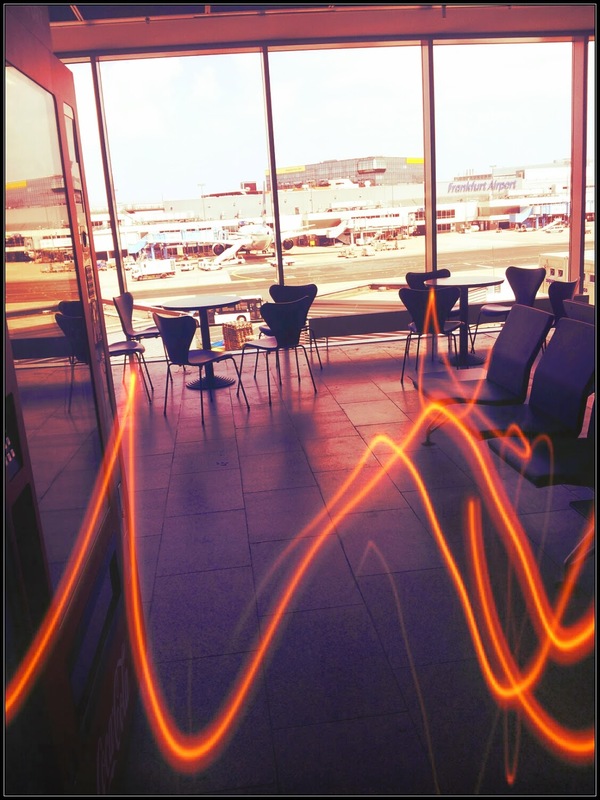 I honestly LOVE spending time in the airport setting, always have done. When I was younger I was always envious of folks that were able to travel frequently through airports and honestly still am (and that's from someone that travels fairly frequently). Getting to the airport early is a must so that I can explore the terminal. I also enjoy longer connections so that I can experience the layover airport more. Some people probably think I am crazy or weird because most want to get to their destination as quickly as possible, but I honestly appreciate the time in between because you never know what gems you may come across inside the terminal setting! Oh, I'm totally with you in this! I also like to get quite early at the airport - not only because I'm pretty paranoid to miss my flight, but also because I enjoy exploring it.